Born in Tossa de Mar on the Costa Brava in Spain, of English and Spanish parentage, Jaime grew up in Spain and later trained as an artist in Britain. After finishing his studies he returned to Spain only to find the restrictive environment under Franco’s dictatorship to be unacceptable. He and his new Spanish wife, Roser, moved to Mexico. After living for a short while in the capital, they moved on to live in Taxco in 1955 where Jaime began teaching at the art school founded by Leslie and Fidel Figueroa. When the art school closed, Jaime no longer taught, but he did make painting his life’s work. When Roser died, Jaime was bereft and only after many years did he marry again. This time it was to Mexican born Bertha Alicia Paredes. In his time in Taxco, Jaime purchased a beautiful colonial home on one of the high meandering callejones, called Altos de Redondo. The house, named Huitzilan, soon found itself undergoing artistic modifications. Jaime built himself a large roof top studio which soon expanded with a glass walled living room, large terraces, a dining room and finally a kitchen. In time these spaces became an apartment that Jaime rented. We were lucky enough to have lived there for a few years always marveling at the artist’s creation. It was a magical place. Jaime painted every day of his life until the last few years when he was incapacitated. He had exhibitions here in Taxco, in Mexico City, and in Spain and supported himself with his work which no one will dispute portrayed the magic of Mexico. I was a student of Jaime Oates’ in Taxco in the 1950’s. He was an enormous influence. While my career was in economics, I never stopped painting. Now in retirement, I paint often and have had a number of one man shows. The last time I saw him was in 1992 in Taxco. Thanks for this, Bill. My Oates piece was the first oil painting in my collection and has been a centerpoint in my collection ever since. I love the moodiness of the image – sometimes fretful, sometimes resolute, sometimes mischievous. I acquired this piece from an antique’s dealer in Tempe, Arizona – but according to the gallery card on the back of the frame, it was originally sold through a gallery in Minneapolis, MN. It took me a while to hunt down information on the artist, and now I’m hooked. Do you recall if he was a follower of Modigliani? Did Oates paint in watercolor ? I bought a painting of a number of musicians in a square in Taxco. It’s a stylized watercolor- I can’t think of a style it resembles, but I could tell it was a worthwhile painting. I didn’t look for the artist’s name until a few years ago. The signature looks just like Oates, but it’s hard for me to translate the oil style into the watercolor style.If you know where I can find examples of any watercolors I would appreciate it. Sorry it’s taken me so long to respond to your note! Oates did indeed paint in watercolor. I was recently contacted by a collector who has a number of his watercolors for sale. I hear that he’s becoming super collectible of late. I sometimes see his work on Ebay. I’m not an appraiser, so I wouldn’t be able to give you any information related to value, just a compliment on your good eye for recognizing and acting upon a well crafted composition. cheers! Yo tengo varias acuarelas de Jaime Oates. I am the Clearance Coordinator for a feature film that will begin shooting in Montreal, Canada at the end of February. I am contacting you because we would like to use some artwork by Jaime Oates in the film but would require permission to do so. I am wondering if you have any contact information for his estate or family? Please let me know if you might have any information that could help. I am interested in selling an oil painting of three Mexican musicians which I recently inherited. 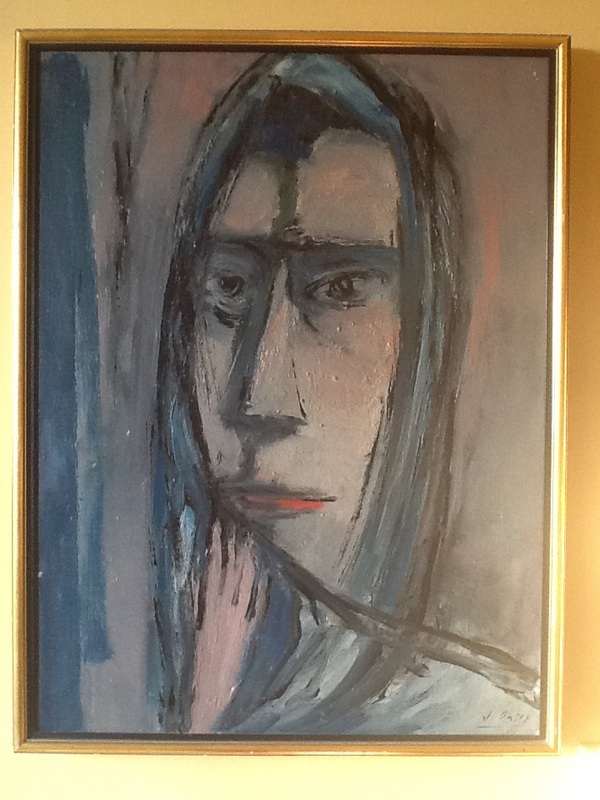 It was purchased from the artist by my parents and I have the provenance. Please contact me at peters65@sbcglobal.net if interested. We have been collecting Oates watercolors for few years, and recently acquired two brilliant oils. Do you have any information on his oil paintings? Check back in early August for the updated catalog.